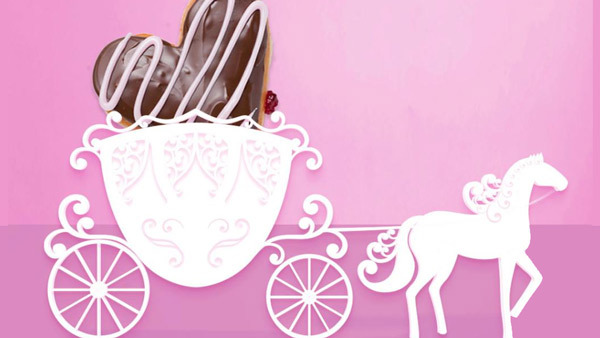 Dunkin' Donuts is getting into the spirit of the royal wedding with the creation of the new Royal Love Donut. The donut is described as a heart-shaped donut filled with jelly and frosted with chocolate icing and a strawberry drizzle. The Royal Love Donut will be available for a limited time May 14 through May 20 at participating Dunkin' Donuts restaurants nationwide. Dunkin' says on the day of the royal wedding, May 19, their restaurants will be opening at 5 a.m. so customers can get donuts and coffee in time for wedding viewing parties.